Rosslyn community league is a Community League solutions website, for residents and people interested in information about the Rosslyn community in Edmonton. By becoming a member of your community league, you have demonstrated your commitment to your community. To honour your commitment and support your families' health and well-being, the Edmonton Federation of Community Leagues has teamed up with the City of Edmonton to create an exciting new program. The Community League Wellness Program provides current community league members with admission incentives to enjoy the City's world-class sports and recreation facilities. 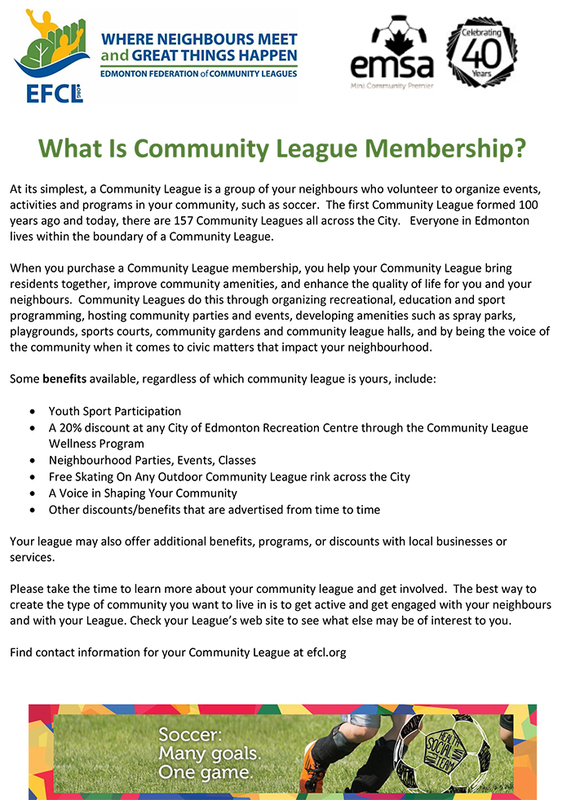 All current members of an Edmonton community league with a valid membership card are eligible to participate in the Community League Wellness Program. Single: Any individual that resides within Rosslyn that does not have a family. Rosslyn Community League © 2011.